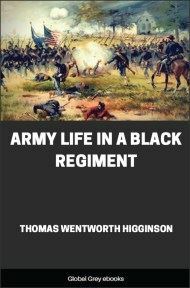 An account of the Third Australian Division in WWI. 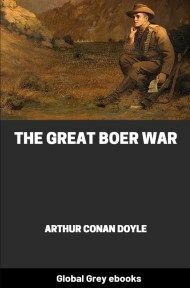 The book doesn't really go into detail about the combat, rather it focuses more on the soldiers themselves: how they felt, what they did to pass the time, etc. An interesting and touching insight into the horrors of war. Towards the end of November, 1916, our hopes of moving out from 'where we then were' to 'where we now are' materialized to the evident satisfaction of all. Few, if any, cared as to our probable destination; the chief interest centred in the fact that we were to start for the Front. The time spent Somewhere in the Motherland was by no means wasted. Due regard had been paid to the training of the men, who reached a standard of efficiency which earned for the Division a reputation second to none. While in England the Third was the subject of scorn and bitter criticism. Older Divisions could not forget, and possibly regretted, the fact that they had had no such prolonged training in mock trenches and in inglorious safety. However, since leaving England the Division has lived down the scorn that was heaped upon it, by upholding the traditions handed down by older and more war-worn units. 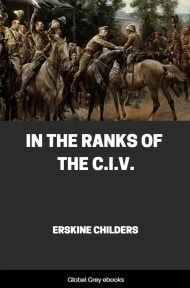 Recently the Division was referred to by a noted General as one of the best equipped and most efficient units not only amongst the Overseas Divisions but of the whole Army in France. The arrangements for our moving out were approximately perfect. There was no hitch. The military machine, like the Tanks of recent fame, over-rides or brushes to one side all obstacles. There was manifest among all ranks an eagerness to leave nothing undone that would in any way facilitate entraining and embarkation. The knowledge that we were at last on our way to the 'Dinkum' thing had the effect of leading us to take a more serious view of the situation. It is surprising, however, how soon men become attached to a place; and though the conditions at Lark Hill were in no sense ideal, it had been our home for several months and we were loth to leave. Perhaps the thought that many of us might possibly never return inspired the longing looks that were directed towards the camp as we marched on our way to the station. Who of those who took part in that march will forget the cheers with which we were greeted by the residents of that picturesquely situated village as we trudged along its winding road? We had enjoyed their hospitality, and we appreciated their cordial wishes for success and safety. The task of entraining a large body of men was expertly accomplished, and after a brief delay we were speeding in the direction of the port of embarkation. The train journey was practically without event. The men were disposed to be quiet. On arrival at the quay parties were detailed to assist in putting mails and equipment aboard the transports. Punctually at the hour advised we trooped aboard the ships that were to convey us across the water. There was very little accommodation for men, but they squeezed in and made the best of the situation. The trip across was not as comfortable as it might have been, but its duration was so brief that the discomfort was scarcely worth serious thought. The transports cast anchor off the harbour early the following morning, but it was not until late in the afternoon that they were berthed alongside the wharf. Scarcely had the transports touched the wharf-side when they commenced to disgorge their living freight. From the waterside we marched to No. 1 Rest (?) Camp, situated on the summit of a hill on the outskirts of the town. The camp was reached some time after darkness had settled down over the land. The weather was most miserable. The air was charged with icy blasts, and rain fell continuously throughout the night. The least said about our impressions and experiences during our brief stay in that camp the better; suffice to state that one of the most miserable memories that can be recalled in connexion with our experiences on active service is associated with No. 1 Rest Camp. There was not a dull moment during that thirty hours' run. There was much to interest the 'freshmen.' Eventually we reached our rail destination, and marched to our quarters, where we arrived late at night. That we were not far from the fighting line was very evident by the close proximity of the artillery, which expressed itself so emphatically that the air reverberated with its deep boom, relieved at intervals by the staccato reports of machine-guns in action. The troops were quartered in different places. They were as indifferent as they were different, but any place which afforded shelter from the rain and protection from the cold was greatly appreciated. Despite the inconveniences within and the noises without few had difficulty in wooing Morpheus and reposed in his embrace until a late hour next morning. Opportunity was afforded during the day for having a look round and cultivating an acquaintance with the district. The country round about is fairly level, and, despite the fact that it was just behind the lines and under enemy observation, farming operations and business were carried on in perfect serenity. A cinema afforded entertainment in the evenings. The men were cheerful, and accepted the change from the 'sham' to the real uncomplainingly, and commenced making their billets as comfortable as circumstances would permit. Stoves were greatly in demand, but few were available. The law in France is that nothing shall be removed from a building without permission. Troops were forbidden to enter houses under any pretence whatever; but very occasionally men lost their way, and unwittingly (?) wandered into forbidden places, and when detected by certain officials evinced great surprise on being found therein. The Town Major on one occasion was walking past a building, the door of which was ajar, and he observed two men struggling with a stove half up the stairway. 'What are you doing with that stove?' he peremptorily asked. 'Putting it back, sir,' was the prompt reply.